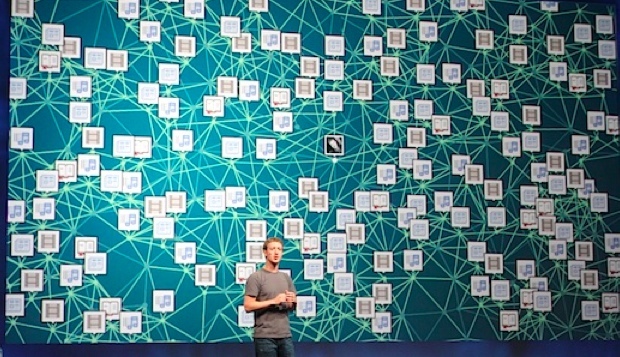 Integration with Facebook lets apps build their businesses. But users might not be ready to go full open kimono right away. The expansion of Facebook’s Open Graph program Wednesday, which lets apps like Spotify and RunKeeper publish their users’ activities to Facebook, will be a publicity boon for many apps. When a user’s activity gets published to their profile on the social network (with their permission), the app gets exposure among the user’s friends. But for other apps, the expansion of the program is much more profound. 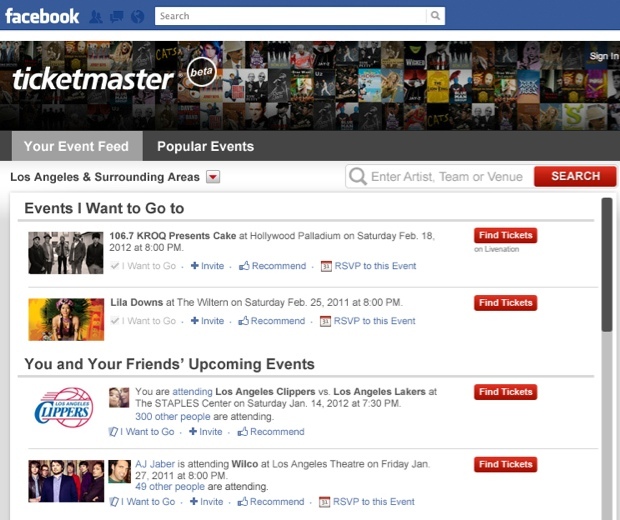 Ticketmaster, for example, is using the feature to develop an entirely new sales channel on the social network, one that it intends to take as seriously as its growing mobile channel, Kip Levin, Ticketmaster’s executive vice president for e-commerce tells Fast Company. That’s because the Open Graph program, which was announced at Facebook’s f8 developer conference in September and officially opened yesterday, lets a range of apps (music, cooking, travel, etc….) do more than just publish a user’s activities to their profile (or Timeline). It also allows the apps to create an “app” (yes, it gets confusing) inside Facebook itself, so a user can track all their activities in a single place. Foodily is a web-based service (and soon to be an iPhone app) that lets you share recipes and enthusiam about food with friends. Its app on Facebook allows you to see a roll-up of all your activity on Foodily–what recipes you’ve favorited, for example, or which types of food you’re most fond of. The Ticketmaster app goes much farther. It doesn’t simply give you an aggregate view of the concerts you’ve bought tickets for. It also allows you to keep track of which concerts you’ve bookmarked and, if you want to, actually buy tickets right from inside Facebook. Similarly, it uses information it collects from other apps about what music you’ve been listening to, or what bands you’ve Liked on Facebook, to recommend upcoming concerts and, also, buy tickets if you’re so inclined. “It’s pretty exciting the possibilities it opens up,” Levin says. The opportunity to participate in the Open Graph will also have a material impact on the choices apps make about how to build out their own products. It can also be used to gain intelligence. ScoreBig, for example, publishes two types of information to Facebook (with users’ permissions): when they’ve made an offer on tickets and when they’ve purchased tickets. Tracking how a user’s friends “Share” those updates could help ScoreBig gauge interest in particular events, Goldberg says. On Wednesday, Facebook said over 60 apps had already integrated with Facebook, and they expected many thousands more to start the application process to be included in the program. But not all outsiders are eager to join the Facebook fold. Pandora founder Tim Westergren told CNN.com that the music company is not convinced people want all their activities broadcast in front of their friends. If Pandora were to integrate with Facebook, users’ friends would be able to see every single song they’d listened to on the service, whether it was Mozart, Madonna, or Manilow. Facebook’s thesis is that the Open Graph is simply making it possible to do the kinds of things they already do in the real world–share recipes, for example, or dish about favorite cuisines–but in a way that makes it much easier for people to find points of common interest with their friends. Pandora executives told CNN.com, however, that they weren’t convinced users necessarily wanted to share everything, and to do so as widely as would happen on Facebook. And certainly, while Facebook executives might be accurately forecasting where we will all end up (after all, many of the social network’s early detractors have since become its avid users), it’s also possible that many of the network’s nearly billion users won’t be ready to go open kimono right away. “We have to be very cautious,” Westergren told CNN.com.